हिंदी: दुनिया के मज़दूरों, एक हो जाओ! २Assigned on 19 सितंबर 1990, existing onwards. ^a The annexation of the Baltic republics in 1940 was illegal occupation by the current Baltic governments and by a number of Western countries, including the United States, United Kingdom, Canada, Australia and the European Union. Their position is supported by the European Union, the European Court of Human Rights, the United Nations Human Rights Council and the United States. 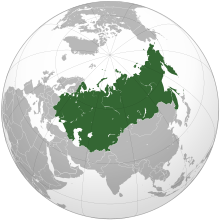 The Soviet Union and the current government of the Russian Federation considered the annexation legal, but officially recognized their independence on September 6, 1991, three months prior to its final dissolution. ↑ "UNITED NATIONS Human Rights Council Report". Ap.ohchr.org. अभिगमन तिथि 2014-02-18. ↑ "U.S.-Baltic Relations: Celebrating 85 Years of Friendship" (PDF). U.S. Department of State. 14 June 2007. अभिगमन तिथि 29 July 2009. ↑ European parliament: Resolution on the situation in Estonia, Latvia and Lithuania (No C 42/78) (1983). Official Journal of the European Communities. European Parliament. ↑ Aust, Anthony (2005). Handbook of International Law. Cambridge University Press. आई॰ऍस॰बी॰ऍन॰ 978-0-521-53034-7. ↑ Ziemele, Ineta (2005). State Continuity and Nationality: The Baltic States and Russia. Martinus Nijhoff Publishers. आई॰ऍस॰बी॰ऍन॰ 90-04-14295-9.